Guests number five, six, seven, eight, nine and ten. These guests are people who are known to most in some guise or another, but to me, they are so very special. They gave me my first real taste of what it felt like to truly belly-laugh at something, steered my sense of humour into the more surreal, but more than that, they remind me of time spent with my dad. 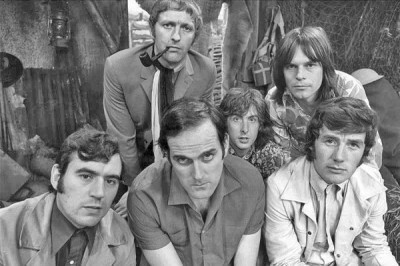 John Cleese, Michael Palin, Graham Chapman, Terry Jones, Terry Gilliam and Eric Idle. Also known as Monty Python's Flying Circus.